The above patient is a 17 year old Amity High School junior who just completed orthodontics. We coordinated the efforts with his orthodontist (Dr. Phil Caporusso) so that when the braces came off, we got to work. We used bonding and gave him a new look in a little less than an hour! 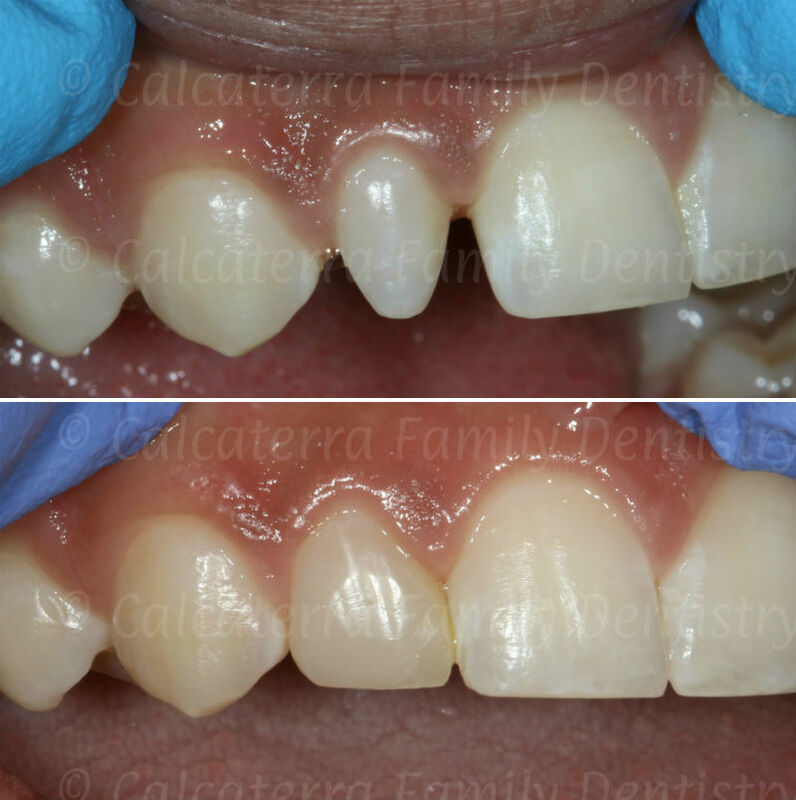 The appearance of a peg lateral can be addressed in two basic ways. Porcelain Veneers – with veneers, a thin piece of cosmetic porcelain is placed over the front surface of the tooth. Veneers last longer than bonding and will always look better. The downside is that they are much more expensive and require 2 visits to complete. Bonding – in bonding, white filling material is placed over the tooth and then polished. Bonding is done in one visit and is less expensive than veeners. The downside is that bonding will not last as long and typically does not look quite as good (although with expertise you can get a very natural result as seen above). We always discuss your particular case with you prior to making a recommendation for which option (veneers vs. bonding). The overall prevalence in the general population is 1.8%. That may seem high. But then again, most patients have these repaired so you can’t tell. If the above patient smiled at you do you think you could tell? We didn’t think so. In cases of single peg laterals, the left side is twice as common as the right. So our patient was a unique one! Women are 1.35 times more likely than men to have one or both teeth affected. The above data were compiled from this research study. Do you have a peg lateral that you would like us to evaluate? If so call us at (203) 799 – 2929 or visit this page. And remember, don’t try fit these pegs into a round hole!